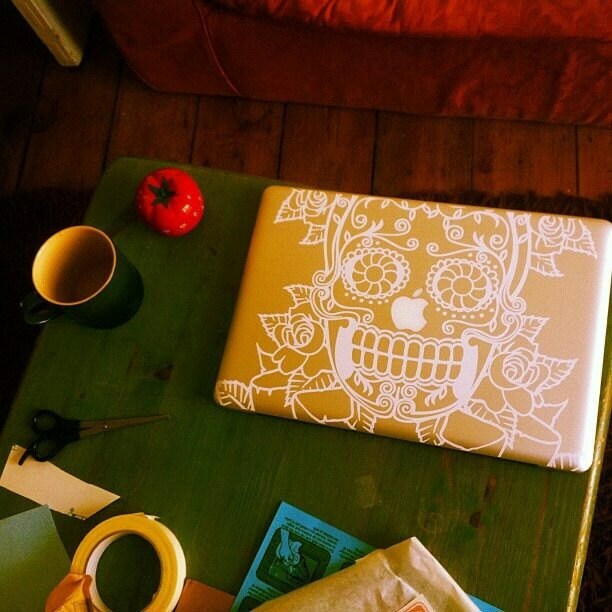 Custom fit day of the dead sugar skull laptop decal. 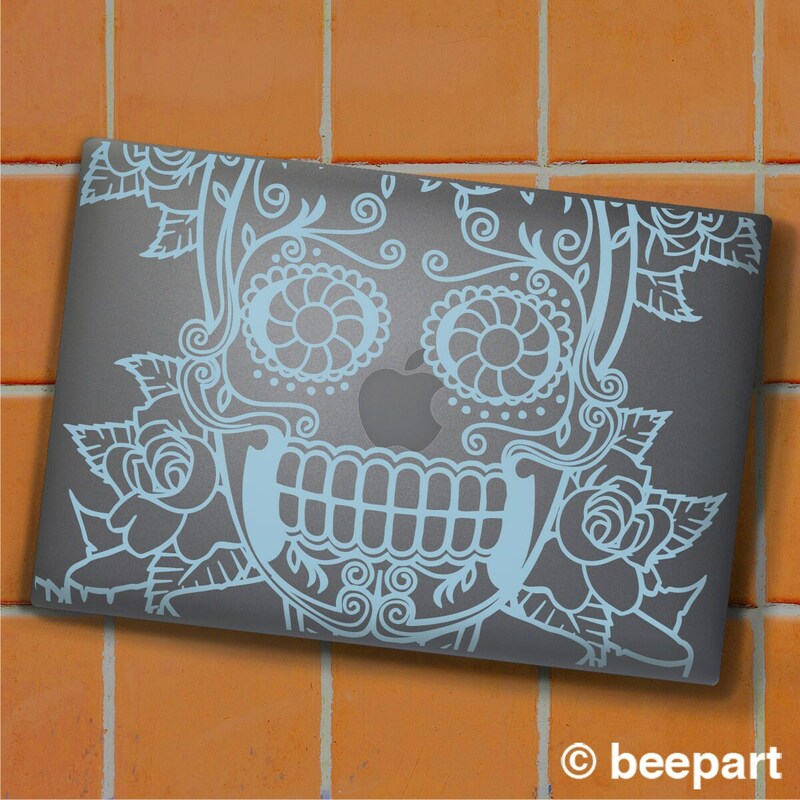 We can create this decal to fit any laptop computer, Mac or PC! -Select your color and laptop size and add the item to your shopping cart, follow checkout instructions. *If your model size is not listed, choose 'other dimension' from the size menu and make a note of the dimensions of your laptop lid in the 'message to seller' window at checkout. *This is a one color design computer cut design which does not include a background colour. The design may be cropped depending on the size of your computer, so smaller computers will not show as much of the detail from the outer part of the design.